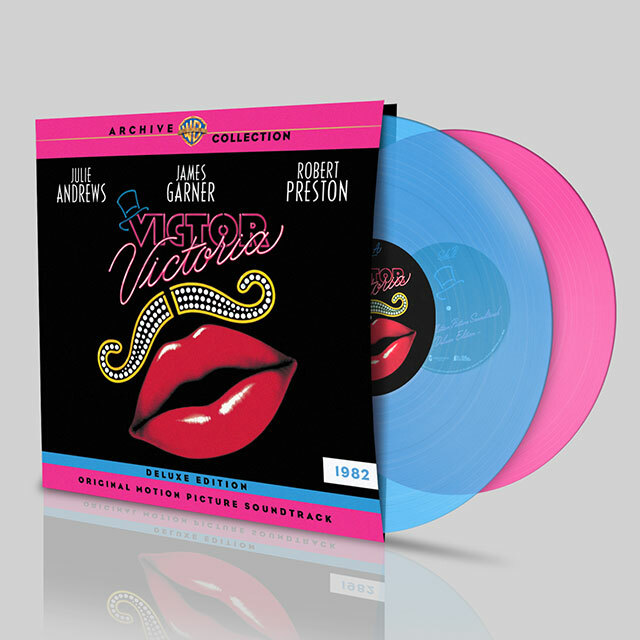 Henry Mancini and Leslie Bricusse took home the Oscar for Best Music, Original Song Score And Its Adaptation at the 1983 Academy Awards for Blake Edwards’ comedic masterpiece Victor Victoria. Receiving a total of seven Oscar nominations, the film about a woman pretending to be a man pretending to be a woman starring Edwards’ wife Julie Andrews continues to beguile and charm audiences over three decades after it hit the big screen. Henry Mancini received his first Oscar nomination in 1955, later scooping four wins across a prolific Hollywood career that includes Moon River from Breakfast At Tiffanys and the title song of Days Of Wine And Roses. Lyricist Leslie Bricusse is a British song-writing legend with an extensive catalogue of worldwide hits which include Goldfinger, You Only Live Twice and Candy Man through to a vast range of musicals. Mancini’s long partnership with Blake Edwards began in television in the 1950s with Peter Gunn and had continued through the decades. The period score he createdwas a perfect match for the director’s screenplay and Mancini’s long friendship with Julie Andrews enabled him to write songs for her incredible octave range. From the beautiful ballad Crazy World to the show-stopping Le Jazz Hot this release brings together the entire score with bonus tracks, not least Robert Preston’s hilarious rehearsal of the song Shady Dame From Seville.